A fun and simple campaign you can run is a social media advent calendar. Each day you can reveal an exclusive piece of content to your fans – this can be anything from discounts, to flash sales, or you can work with influencers to provide never before seen photos or videos. Reward your advocates – the people who are sharing your content the most. You can create a specific post (or posts) for people to share and pick a winner from those who share correctly. You can support the campaign via email, on your website, and if possible, offline. To make your social media audience feel a little more special this time of year, go ahead and offer social media exclusive offers. This could be a discount, free shipping etc. – there’s a range of possibilities. Round-ups can create a lot of traffic, and it’s a content format that’s easy to digest. Gather your most popular posts of the year, or compile a list of the best insights to fit your target audience. Think of how you can be informative or helpful – you could even create infographics of holiday facts that relate to your business, or interview people in your industry with a predictions post or summary of the past 12 months. 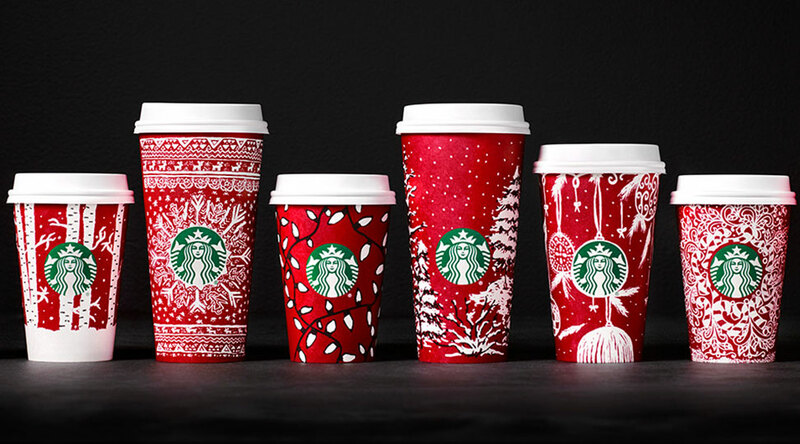 Remember Starbucks’ ‘red cup’ campaign?